Maui High’s Hall of Honor was created in 2011 and annually recognizes individuals with ties to Maui High School who have made outstanding contributions to the legacy of our school and to our school community. ~The Silversword Heritage Award : Awarded to alumni who are distinguished in life and work. ~The Award of Excellence : Awarded to alumni who have excelled in their field or profession. ~The Saber Spirit Award : Awarded to alumni who have made a difference in our community. ~The Inspiration Award : Awarded to faculty members past or present who have made a difference to the students of the school. ~The Saber Spirit Award : Awarded to individuals who are unsung heroes to the school. After practicing dentistry in Chicago and Honolulu, Dr. Leslie Arakaki returned to Maui where he served as an outstanding dentist in our Maui community for the past 35 years. He has also devoted his life to the community and youth through his tireless involvement in community organizations. Most of his community service has been through the Kiwanis Club of Maui which he joined in 1984. Besides having served as club president of the Kiwanis Club of Maui, he has served as club secretary for the past 4 years, regularly attending its weekly meetings, and contributing countless service hours to a variety of Kiwanis service projects. These include helping the homeless and the annual Kiwanis’ sponsored Intermediate School Track and Field Meet. When he first came back to Maui Dr. Arakaki was also active with the local Boy Scout Council. An Eagle Scout himself, Dr. Arakaki served as the East Maui district chairman and sat on the Eagle Scout Board of Review. He is also past president of the Maui County Dental Society. Upon his recent retirement, Dr. Arakaki also joined the Kahului Lions Club. AWARD OF EXCELLENCE : an alumnus who has excelled in their field or profession. Chef Kyle Kawakami was born and raised in Kula, Maui. Having grown up in the rural farming community of Upcountry Maui, he gained an early appreciation for the bounty that Kula had to offer. Working in the culinary field throughout high school, Kyle left Maui after graduation and attended the University of Hawaii at Manoa, earning a bachelor of arts degree in Zoology. Returning to Maui after 8 years away, Kyle had an opportunity to pursue a full time career in culinary arts, and enrolled at Maui Community College. He graduated top of his class and was awarded the prestigious Chancellor’s Regent Award and Outstanding Culinary Award. Throughout school Kyle worked under the guidance of Executive Chef Tylun Pang at the Fairmont Kea Lani Resort. In 2002, Kyle had an opportunity to return back to school, this time as an instructor. He has taught a multitude of classes such as skill building, garde manger, batch cookery, short order, and advanced fine dining. In 2013 he left the college to once again pursue a new dream, to own a gourmet food truck. In August of 2013, this dream became a reality, and Maui Fresh Streatery arrived on the streets of Maui, bringing gourmet food, cooked fresh with ingredients grown and raised on Maui. Chef Kyle hopes to use this mobile gourmet kitchen to expose diners to the wide variety of cuisines found throughout the world, as well as educate the students of Maui about the benefits of eating healthy and local. You can follow the locations and menus of the Maui Fresh Streatery truck on various social media sites. SPIRIT OF MAUI AWARD : an alumnus who gave back to the community, who made a difference within the community. Ross “Tom” Tamayose worked for the County of Maui Parks and Recreation Department and was one of the main architects of our County's youth after school and sports program that started in the early 1970's. Ross had a distinguished 25 year career with that Department as a top administrator, handling all aspects of our County's many sports programs from youth to seniors, in conjunction with the use of our various County sports complexes and facilities. His intricate job included overseeing all aspects of the various sports leagues including scheduling of the games, facilities, officials and various County employees and workers that go into making sports here on Maui great. Ross was also a mentor and coach to many, from the 1970's to the mid 2000's. He helped start up and head the Upcountry Makawao youth Menehune basketball and Pop Warner football teams and for over 30 years he was the Head Coach for a third sport, the Upcountry Pony League baseball team. Ross won many team Championship titles and was very well respected, liked, and regarded throughout his coaching and working career. INSPIRATION AWARD : (not necessarily an alumni) a faculty member past or present who went above-and-beyond and made a difference to the students of the school. 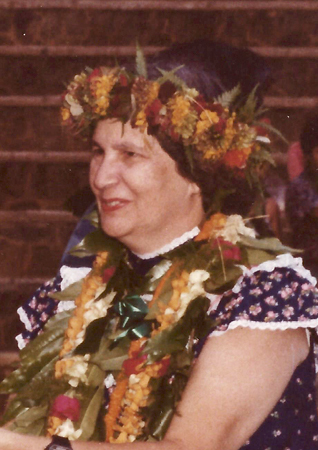 Agnes Terao-Guiala led Maui High’s English and Language Arts department for many years and started the Advanced Placement English program at the school. She was an active and dedicated teacher who served as advisor for many various student organizations. Her above and beyond service to students included being a class advisor, yearbook advisor, debate team coach, academic decathlon team advisor, National Honor Society club advisor, May Day coordinator, Speech team coach, and more. “I personally can attest that she is a teacher of technical prowess in English studies. She has made me a better writer, an astute student, and greater at public speaking. If it wasn't for Mrs. Guiala, I would never have gone to college. She pressed, gently, and shared with me that the best thing would be to go away to learn and continue to learn, because I would appreciate things when I come back with even more respect. She wanted to bring the best out of me. I could have easily turned to other things, but she kept me busy. And I am thankful she did.” - former student, Travis Kea. SABER SPIRIT : (not necessarily an alumni) an individual who is an unsung hero to the school, possibly volunteered at the school. Robert Medeiros served as Maui High’s head Softball coach for over 25 years. His coaching style, commitment and ability to communicate put the Maui High Softball program on the map. His philosophy is evident in the team’s slogan: “Expect the Best” which was printed on all practice uniforms and travel jackets. He encouraged players to be respectful, honest, loyal and good sports on and off the field. He also taught them to use visualization and how to set short and long-term goals. His ultimate desire was to develop leaders for our community. Throughout his career he had many players attend college- some with softball scholarships and many just to study. The Maui High Softball girls became lawyers, teachers, nurses, managers, bakers and some of them are giving back to the community as softball coaches in the youth leagues in our community. In 1991, Robert (Bobby) Medeiros became the 1st Maui High Softball coach to take the Softball team to the Hawaii State Tournament. The Maui News called his achievement a landmark victory by delivering Baldwin Bears its 1st loss in 11 years. In 1995, with his Maui High softball team coming off of an undefeated season, he received the well-earned recognition of Coach of the Year. ​Maui born Clinton Shiraishi is the son of Japanese immigrant plantation workers. He is a World War II hero, and has had a successful career as an attorney and judge on the island of Kauai, and is also the founder of Kauai Realty, one of the island’s largest real estate firms. Shiraishi enlisted in the US Army at the age of 20 and served with the famous 442nd Regimental Combat team. The 100th/442nd Regiment is the most decorated Unit in the History of the US Army. After the war Shiraishi studied law at John Marshall Law School in Chicago where he graduated 3rd in his class. Immediately after passing the bar he was appointed to a district court judge position on Kauai. Shiraishi was the first ever to get a law degree from Nashiwa camp, the Paia based camp that was home to Japanese plantation workers. ​Stewart Stant is the Director of the Department of Environmental Management for the County of Maui. He has worked for the County since 1991, starting as a humble Electrician Helper and later becoming an Electrician Repairer, Wastewater Plant Maintenance Manager, and then in 2015 was appointed to Director of Environmental Management. In this top position Stant oversees Solid Waste, Wastewater Reclamation, Environmental Protection and Sustainability, and a staff of 240 County employees. Beginning in 2009, and simultaneously while working full time for the County, Stant ventured into a direct-marketing firm called ACN. Once again Stant started from the bottom, marketing video phone service out of the back of his vehicle. He is now a Regional Vice President for ACN overseeing 7 team coordinators each with 200-300 people on their teams. ​Senator Mamoru Yamasaki served more than 33 years in territorial and state legislatures and chaired the powerful Senate Ways and Means Committee for 12 years . First elected in 1958, he was a freshman member of the House of Representatives in the last territorial legislative session before statehood in 1959. 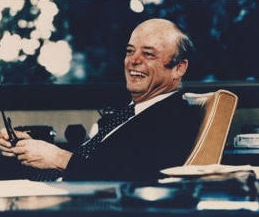 He was elected as a state senator in 1968. Known for championing expanded health care and social services, particularly for children, he received the University of Hawaii Regents' Medal of Distinction in 1997 for his legislative support of education and Hawaii culture and history projects. Yamasaki was born at Paia, Maui. A 1935 Maui High School graduate, his career included time as a marine terminal clerk for Kahului Railroad from 1941 to 1963 and as an ILWU business agent from 1963 to 1981. He gave the Legislature a strong pro-labor stamp throughout his tenure. His other activities included serving on boards of the Salvation Army, Boy Scouts and Maui United Way. ​Long time MHS Girls Soccer Varsity Coach Tony Medeiros has inspired countless young lives through his dedication to the development and advancement of soccer in our community. Coach Medeiros was 12 years old when organized soccer first came to Maui. He began his coaching career just 3 years later at the age of 15, as an assistant coach under the Maui Youth Soccer Organization. In 1981 he began officiating as well, and has earned a grade 7 license in soccer officiating. In 1982-83 the Maui Interscholastic League added Girls Varsity Soccer as an MIL sport. Medeiros became head coach for MHS Girls soccer in the following 1983-84 season. Under Medeiros, MHS Girls Soccer has won 11 MIL titles. Medeiros has been named MIL Coach of the year 10 times. Medeiros has also volunteered his time serving over 25 years as a Board Member with both the AYSO (American Youth Soccer Organization) and HYSA (Hawaii Youth Soccer Association) Programs on Maui. In April of 2005, he was named Coach of the Year for AYSO Section 7/A in the State of the Hawaii. Medeiros has also coordinated and organized the Maui No Ka Oi Soccer Tournament for the past 15 years. This tournament held in June at the Eddie Tam Soccer Complex in Makawao has hosted teams from across the State as well as here on Maui . Marilyn Morikawa stands out as an exceptional lifetime Saber supporter. This 1966 MHS graduate and parent of 1994, 1996, and 2000 MHS alumni continues to be engaged with and supportive of the school today. She volunteers at the school and attends school events from time to time, such as athletic events, Saber Family Fun Night, Senior Project, etc. She and her husband Lyman Morikawa have made numerous donations to the school, its programs, and the MHS Foundation. Marilyn has served on MHS Foundation committees and served as chair to Maui High’s Historical Committee during the school’s 2013 Centennial Celebration. Marilyn has also been involved in planning and activities coordinated by the Friends of Old Maui High School(FOMHS). FOMHS has been instrumental over the years in keeping the Saber spirit alive among Maui High’s alumni of the early years. Morikawa is among the lead coordinators for her class’ reunions and events. In 2016 the class of 1966 celebrated their 50th Anniversary. Marilyn arranged for classmates to tour the current MHS Campus and gain exposure to present day Maui High. She helped to initiate donations from her class to the Foundation and also inspired the gift of scholarships to the class of 2016. Marilyn has volunteered and donated to the school many times over the years, but more than that Morikawa regularly inspires and motivates others to stay engaged with the school. She has a knack for bringing people together, building a sense of community, and getting people involved. This boosts the difference she makes at Maui High exponentially. Silversword Heritage Award- Awarded to an alumnus distinguished in life and work. ​While always operating within the government system, Harriette Holt has been able to make enduring contributions to the people of the State of Hawaii. Among her work experience she worked as a Legislative Auditor and then as a Researcher in the Legislative Reference Bureau where she authored several major studies. In the 1980’s she worked as a Deputy Prosecuting Attorney and later opened her own law practice before being appointed as judge in the District Court of the Second Circuit under the State of Hawaii Judiciary. She was the first in her law school class to achieve this distinction. Holt served until the mandatory retirement at age 70, yet continued to practice law serving as an arbitrator for the National Association of Securities Dealers. ​Award of Excellence- Awarded to an alumnus who has excelled in their field or profession. ​Charlotte Boteilho dedicated her life to the education of our youth. She served 10 years in private education at the elementary level and then 25 years (1982-2007) in public education as a teacher in the English Language Arts Department at Baldwin High School. During her time at BHS, Boteilho also volunteered as Director for the Speech & Debate Team. A former student, Liane Paison, testifies that “Mrs. Boteilho was an inspiration to many students” and that “She was a teacher who went above and beyond to ensure that her students would succeed in her classroom and even after they graduated from high school.” Best evident of Boteilho’s commitment to her students may be her 5-time District Teacher of the Year achievement, from which she went on to be named the State Teacher of the Year in 1999. ​​​Spirit of Maui Award- Awarded to an alumnus who has made a difference in our community. ​Grant Chun is a name well recognized among our Maui community. He is Vice President at A&B Properties Inc. and has formerly served as Managing Director of the County of Maui. In addition to his professional success, Chun is being recognized for his devout commitment to service and community involvement. 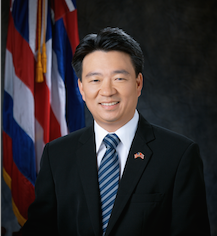 In 2013 Chun was appointed to the State of Hawaii Board of Education. Chun also serves on the board of directors for A Keiki’s Dream, Alexander and Baldwin Foundation, Maui Chinese Cultural Society, Maui Economic Development Board, and Maui Economic Opportunity. He serves on the executive board of the Boy Scouts of America Maui County Council, on the Maui Regional Board of the Hawaii Health Systems Corporation, and on the Chancellor’s Advisory Council for UH Maui College. 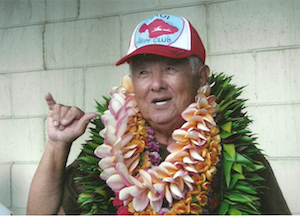 Chun served on the very first Hall of Honor Committee in 2011 and helped to initiate Maui High School's Hall of Honor Awards. ​Inspiration Award- Awarded to a faculty member past or present who has made a difference to the students of the school. James Kidoguchi ran the MHS Band Department from the early 1970’s until 1992. Through his hard work and dedication to music education and education in general, he touched the lives of thousands of young musicians. Among his inspired former students are professional musician & entertainer Uluwehi Guerrero and current Maui High Band Director Kerry Wasano. Kidoguchi was known to take many bands to travel Japan and hosted many bands from Japan giving students the opportunity to exchange cultural gifts and values. A few years before he retired, "Mr. K" started the "James Kidoguchi Scholarship" which is awarded yearly to deserving members of the band program at Maui High School. His vision was to give back to the students who have unselfishly devoted their time and energy to the band program. To this day, the Maui High Band Booster sustains the “James Kidoguchi Scholarship”. ​Saber Spirit Award- Awarded to an individual who is an unsung hero to the school. ​Dr. Frank Baum is a practicing Pediatrician in our community and Dr. Colleen Inouye has an OB/GYN practice and has served as the Chief of Staff at Maui Memorial Medical Center. The pair of successful doctors are parents of a 2003 Maui High graduate. Since 2003 the couple have annually awarded scholarships to Maui High School’s valedictorians, which recognize graduating seniors with a cumulative grade-point average of 4.0 or higher. Over the years they have given anywhere from $4,500 to $10,000+ per year. In 2016 alone, nineteen Saber valedictorians received the Baum-Inouye funded scholarship administered by the Colleen F. Inouye MD and Frank R. Baum MD Foundation. Award of Excellence- Awarded to an alumnus who has excelled in their field or profession. Spirit of Maui Award- Awarded to an alumnus who has made a difference in our community. Inspiration Award- Awarded to a faculty member past or present who has made a difference to the students of the school. Served Maui through education for over 20 years, mainly as the well-liked and highly respected Principal of Makawao Elementary. He was also an active member of our Maui community and took initiative on specific issues to help keep Maui a beautiful place to live. Aside from serving in various community organizations, Mr. Tavares notably helped organize the Citizens Association for Good Government in 1961, and helped organize the Committee for More Equitable Taxation (COMET) in 1988 which lobbies for property tax relief for thousands of Maui residents. Uluwehi is a multi-award winning Hawaiian music recording artist, performer, and kumu hula. His career accomplishments include three solo albums, world-wide travel, numerous sell out concerts, the formation of Halau Hula Kauluokala, large-scale sell out musical and hula productions, and several Na Hoku Hanohano Music Awards including ‘Best Male Vocalist of the Year’ (2001), ‘Liner Notes’ (2010), and ‘Hawaiian Album of the Year’ (2010). In 2001 he was recognized by Maui County Council as a local hero, and in 2010 he won the People’s Choice Award for Best Traditional Hawaiian Album in the Hawaii Music Awards. If anyone has made a difference in our community, it is Alan M. Arakawa. He has served in public office for Maui County since 1994 and has served as our Mayor from 2002 to 2006 and 2011 to present. In his role as Mayor, Alan Arakawa works tirelessly to build a better community. The measures by which he has made Maui a better place are too many to mention. In 2002, he established the Mayor Arakawa Community Kokua Fund, a separate non-profit organization that aims to provide financial assistance to groups and individuals in need. His career at MHS spanned over 20 years beginning at the Hamakuapoko Campus and moving with the school to the Kahului Campus in the early 70’s. He worked as a PE teacher, Football Coach, and ultimately became the Athletic Director. Shine was passionate about opening the window of opportunity for students. He helped to implement and improve athletic opportunities for the female athlete and also assisted many of his students with getting into college and securing scholarships. Saber Spirit Award- Awarded to an individual who is an unsung hero to the school. Director of bands for Maui High School since 1998. Mr. Wasano has built up one of the finest band programs in the state with the Saber Marching Band winning 4 consecutive Sweepstakes Awards from 2010-2013 and being invited to march in the 126th Rose Parade in Pasadena, California. The success of his program is the result of tremendous dedication and commitment. Mr. Wasano dedicates a staggering 1300+ volunteer hours per year to the MHS band program. Thanks to his and his family’s personal sacrifices, the Saber Bands have become a pillar of pride for Maui High School and our community. Ethnobotanist and author of numerous publications, she taught thousands of students to respect the land and things Hawaiian at a time when that wasn’t the “in” thing. She was the first woman to earn a degree in agriculture at the University of Hawaii, worked more than 40 years at the Pineapple Research Institute, then at the University, and gave her time to Lyon Arboretum, developing an ethnobotany garden named in her honor. Established HM Electronics, Inc. (HME) and developed the professional wireless microphone used in the entertainment industry and also the first wireless full-duplex intercom system, for which he received an Emmy Award. In 1982, the company revolutionized the fast food industry by developing the first wireless drive-thru intercom system which is now the industry standard. Youngest U.S. Postal Service executive, at age 34, for the Pacific Rim, overseeing 4000 employees. Served with the 101st Airborne in Vietnam and joined the Hawaii Army National Guard, rising to the rank of Brigadier General. He is the recipient of prestigious honors, including the Silver Star, Bronze Star, Purple Heart, and many more. Maui County Council Chairperson. Former Executive Director of Maui Economic Opportunity. Her life seems to revolve around community service. Gladys has become one of the strongest and most trusted public servant in county office and prior to her political career, she had also made huge differences in the well-being of our community through 37 years of service with MEO. President and founder of Stanford Carr Development, one of the most innovative and dynamic real estate developers in the state. 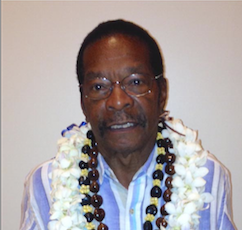 He has garnered many awards for his distinctive and successful master planned communities inspired by cultural diversity and Hawaii’s natural beauty. A former teacher at Maui High School who went on to become the longest serving principal as well. He oversaw the transition from the Hamakuapoko campus to Kahului. A driving force in the effort to preserve the Hamakuapoko campus. She was one of the group who petitioned the Mayor to cancel plans to bulldoze the campus and to allow a private group to take over responsibility for its maintenance and safety. She has also worked tirelessly to maintain a database of H’poko alumni to keep all abreast of campus happenings. To Maui’s former Mayor, for his exemplary story of dedication to the betterment of his community, his commitment to creating opportunity for upward mobility, and for the many other successes he achieved during his career in public office. To a long time school hero and former football Head Coach, for his success in leading the “Never Surrender” Sabers to a number of wins during his reign as Head Coach and for securing a number of Championships on the local and state level. To an alumna of our early years, to celebrate her efforts in preserving the rich culture and history of Maui through her work as a writer, journalist, and county historian. To our former Auto Technology Instructor and virtually full-time Volunteer, for his inspiration and over the top commitment to the students that entered his classroom. To our former Math teacher and current longest serving staff member, for her faithful service to the school and her love for the entire Saber community that she has shown for more than half a century! To a soldier, for his heroic story of service and sacrifice as a protector of our country, for his exemplary work which earned him numerous military honors including 4 Bronze Star Medals with Valor, 2 Purple Hearts, various Combat Action Ribbons, Iraq & Afghanistan Campaign Medals and various other Commendation Awards in honor of the major role he had in saving lives and protecting others, and for his dedication to family as a loving husband and father. To one of our most notable alumna, for her outstanding achievements as the first “woman of color” elected to the U.S. Congress where she worked tirelessly for civil rights, women’s rights, economic justice, education equity, civil liberties, peace, and the integrity of the democratic process. Through adversity, she was able to champion legislation that has positively affected millions. To a successful business man who has never forgotten his community- serving many years on various civic boards and organizations, annually sponsoring the MHS Citizenship Award, and being recognized in 2011 by Governor Neil Abercrombie for his admirable work and commendable support of education and athletics among many more community accomplishments. To an educator who taught well beyond class time and subject matter, inspiring students to realize their highest potential and beyond. For his thorough dedication to the art of teaching that leaves an impressive Science Bowl legacy for MHS and more importantly an extensive list of students who have found their way into our nation’s top universities and most prestigious companies. To a pair of champions who have led the way in the restoration of our beloved Hamakuapoko Campus, re-igniting the Saber Spirit among hundreds of alumni as they rallied around a common goal and worked together to bring life and purpose back to the site of the original Maui High School campus.